I think you would have to look long & far to find a home this nice in it’s park-like setting! 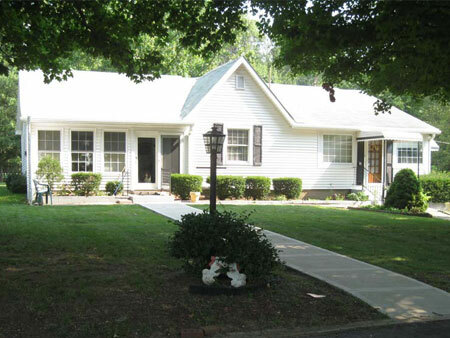 The home is a vinyl sided one floor plan w/basement and detached garage situated on approx. 0.70 of an acre. Home offers an extra large family-living room combo, kitchen-dining combo w/top & bottom cabinetry, built-in oven & cook-top stove, 3 bedrooms w/closets, cozy enclosed heated enclosed sunroom with carpet, full bath with shower, the basement offered finished TV room with outside access onto concrete patio with ventless wall heater, game room and 2 storage rooms. Home equipped with LENNOX Elite high efficiency gas furnace, central air conditioning, replacement windows, County water & septic. The lot the home is situated on is comprised of 3 parcels being sold as one tract. They are identified as Parcel No. 370915080000, approx. 0.19 acres, annual tax of $14.46 w/ Homestead Reduction; Parcel No. 37091515000 approx. 0.13 acres, annual tax of $1.82 w/Homestead Reduction; Parcel No. 370915079000 approx. 0.38 acres, annual tax of $491.74 w/Homestead Reduction. 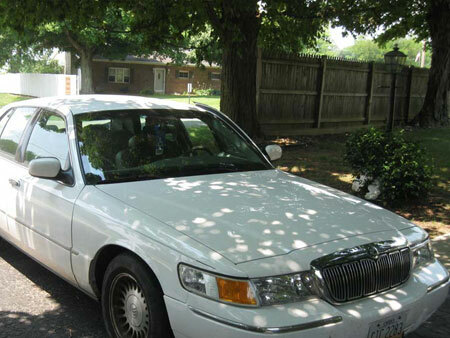 2001 Mercury Grand Marquis LS, white ext., 4 door, leather interior, showing 45,200 miles, V8 gas 4.6 liter motor, auto, loaded w/cruise, power windows, door locks & seats. VIN: 2MEFM75W21X613307. Terms on car is cash or check, paid in full at time of sale, sold as-is, free & clear. Real Estate Terms: $29,000 Minimum Bid; $3,500 down at time of sale; offered free & clear prior to closing w/balance & possession on/before September 20, 2010; no buyer contingencies exist; sold in it’s present as-is condition; buyers are required to do their inspections, examinations, enquiry & due diligence prior to bidding. Any information provided is to be utilized as only a guide. Statements made by only the auctioneer from the podium at the time of the auction will take precedence over any other statements or previously printed material. Taxes will be prorated to day of closing. All information provided is to be utilized only as a guide. Buyers are responsible to conduct any inspection, inquiry, investigations and due diligence regarding to property. Buyer agrees and understands that the seller makes no warranties or representations of any kind either expressed or implied as to the condition, quality, and merchant ability of fitness for a particular purpose of the real estate or any part thereof and/or serviceability for the same. Buyer is buying property subject to any and all easements, leases, covenants and restrictions. The agreement of auction is solely between buyer & seller. Stanley & Son, Inc. and its agents are exclusive agents of the seller. Any announcements made only by the auctioneer from the podium during the time of auction will take precedence over any previously printed material and/or any other oral statements made or implied. No liability exists regarding the information contained in any printed matter for its accuracy, errors or omissions. Bidding is open, just call out, raise your hand or watch the ring personnel…they will assist you and try to get answers to any questions you may have prior to bidding. Statute of Limitations: Any action or suit of any kind must be commenced within one year from the date when the cause of action or suit occurred or it will be forever barred. The Right of Action or suit will begin to run on the date of breach, damage or injury is sustained & not when the resulting cost, damage, harm or loss is discovered. This Agreement will be exclusively construed & governed in accordance with the laws of the State of Ohio, without regard to its conflict of Laws Principles. The exclusive jurisdiction & venue for any controversy or claim between the parties shall be the State of Ohio, County of Ross, City of Chillicothe, by binding arbitration.